Paul Carter – Tell my story. A page honoring The Platonic Debating Society, which was the founding body of today’s Florida State University Debate Team. Emmett (L) and Paul. Roommates, friends, sometimes debate rivals. Source: FSU archive. The FSU page honoring the roots of the debate team has a lot of deep information, including articles from contemporary newspapers featuring Emmett, Paul, and other members of the Platonic Debating Society. There’s nothing new-to-me, which is a bit of a relief, because I hope by now (five-plus years into tracking down information on Emmett), I’ve been thorough. I’ve got the minutes! Here’s a snippet from the minutes book of the Platonic Debating Society for 1901. Good old Emmett is right at the top! What IS missing is a copy of the Platonic Debating Society’s minutes — lucky me, though — a copy of the pages featuring Emmett’s tenure in the Debating Society was kindly send to me by the Florida State University archivist a year or so ago. The minutes book is only a small volume; I believe I have everything I need from it relating to Emmett, but I still would like to read the entire book for complete perspective. Perhaps it will be posted online one of these days! In celebration of Opening Day, we’ll take a look at Emmett Wilson through the lens of his pastimes: Sports. Emmett appears to have been both athletic and a sports fan. He owned and rode a bicycle to and from classes while attending Stetson University Law School in 1903. “He failed utterly.” So, Emmett was an average rider. Source: Stetson Weekly Collegiate, Dec. 5, 1903. He attended a wide variety of sporting events with his friends, including the very first NASCAR race (before NASCAR existed) at Ormond Beach, Florida. He loved to go fishing (enjoying not only the thrill of the catch, but also the solitude and quiet away from his hectic political life), and went on annual trips without fail, always during the first two weeks in August to St. Andrews Florida. He played both football and baseball while at West Florida Seminary (photo below). But he seemed to prefer baseball, as he played not only for West Florida Seminary, but also for the local Chipley baseball team, and on occasion in pick-up games at Stetson University (juniors versus seniors, for instance). Emmett, back row, far left. Source: The Argo, 1900-1901, Florida State University Archives. It is interesting to compare Emmett with his peers in the group photos. Notice that Emmett sits on the end in both photos. In the football photo, he’s a bit separated from the group. This is a relaxed group; Emmett seems at ease here, sitting cross legged on the bottom step, his hands resting on his knees, but he isn’t sprawled like most of the boys on the bottom step. Notice also how Emmett poses in the baseball photograph. He stares intently at the camera whereas several of his teammates are bored looking away, at ease. The two fellows in suits were the managers. Maybe the photo was take right after a game and the boys are tired, as they seem a big disheveled, worn out, but Emmett doesn’t look tired or disheveled. Emmett, and the boy sitting next to him were the team substitutes, not regular players. Although Emmett may not have been the most valuable player on the West Florida Seminary team, he was certainly not a bench warmer on the Chipley town team. Emmett was likely one of the boys who couldn’t make the game. Source: The Chipley Banner, June 10, 1899. After graduating from Stetson in 1904, there aren’t any more articles about Emmett playing for either the Chipley team or the Marianna team (he moved to Marianna after graduation to form a law partnership with his brother, Cephas). We know Emmett attended games and exhibitions; he probably also played a few games here and there, as did Cephas, who played the occasional exhibition baseball game in Marianna. It is likely Emmett attended this game in Marianna. There were several important Florida politicians on both the the Fats team and the Leans team. Emmett had just returned home from the Democratic National Convention in Baltimore, Maryland, and was taking a break in preparation for the general election in November; it is reasonable to believe these heavy hitters in Florida politics, all in one place on a hot, summer day, would want to talk to Emmett after the game. Paul Carter, from the 1899 Argo, the yearbook of the West Florida Seminary (now Florida State University). The original valedictorian of the 1904 Stetson University Law Class. He didn’t finish at Stetson; rather, he took classes at Georgetown University while he was private secretary to William Bailey Lamar. 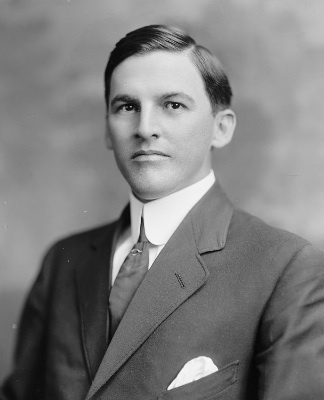 Emmett’s best friend, Paul Carter, was the original valedictorian of the Stetson University Law School Class of 1904. But fate — a job opportunity as private secretary to U.S. Congressman William Bailey Lamar — intervened. It was the opportunity of a lifetime for a smart, ambitious 23-year-old not even out of college. According to an article in the Stetson Weekly Collegiate, Paul was supposedly to return to Stetson to graduate with his class later that year — perhaps he had an arrangement with the school to finish his last semester via correspondence? Perhaps the school would have granted him credit for his work alongside Lamar in Washington, D.C. for some of the coursework? The Class of 1904 waited until late April to elect their replacement valedictorian, Emmett Wilson. Interestingly, Emmett was not the original choice for any of the graduation class honors when the choices were made in December,1903; valedictorian and salutatorian were decided by popular vote of the graduating law school class. On June 8, 1906, Paul received his bachelor of law degree from Georgetown University. Both the Georgetown article and the Stetson article mentioning appeared on the same day. What’s up with that? According to the 1907 Stetson University Catalog, Paul was in Florida in time to receive his degree from Stetson University. Immediately after the ceremony, Paul and his fellow graduates went to Jacksonville to be sworn in to the Florida Bar. Then, Paul took the train from Jacksonville back to Washington, in plenty of time to attend his second graduation at Georgetown. So, Paul Carter earned two bachelor of law degrees within two weeks. From what I’ve learned about Paul Carter over the past three years, he was an excellent lawyer and certainly deserving of his credentials. I’m curious about the arrangement he had with Stetson that allowed for him to receive his degree given his absence for over a year (even though he continued his education at another institution). I’ve always had a feeling new information might emerge just as I was putting the manuscript to bed, and sure enough, that’s what’s happened. I’m not upset or dismayed — quite the contrary. But it does make me anxious for the future as I get close to publication. I want Emmett’s story to be complete and accurate; perhaps those damn scrapbooks will come to light with the publication of the first part of Emmett’s story! I was checking back on a database yesterday — just something i do regularly, just in case — and I found an important but tiny detail that will make Emmett’s final chapter come together seamlessly. In June, 1906, Emmett was on a self-imposed exile from both Sterling, Illinois and his adopted hometown of Marianna, Florida. If you recall from earlier posts, Emmett burned his bridges with brother and law partner Cephas Love Wilson when he left in December, 1905 to form a law partnership with Nicholas Van Sant in Sterling in January, 1906. Only one month into his new venture, Emmett discovered that winters in Florida really were a lot better than northwestern Illinois; that he really wasn’t ready to run the prestigious Van Sant & Wilson law firm all by his lonesome. Emmett probably didn’t expect he’d be actually homesick for Marianna, for his nagging but well-meaning family — even big brother Ceph. By the first week of June, 1906 (only six months into the venture), Emmett left Sterling permanently. But Emmett didn’t go directly home to Florida; Emmett went to Washington, D.C. to visit his best friend, Paul Carter. For a long time, I figured this was a consolation visit. It was only about eight months earlier that Emmett stopped over in Washington to talk to Paul about the idea of going into a partnership with Van Sant — and Paul didn’t think it was a great idea. Likely Emmett went back to Paul, certainly more humbled and (now) more willing to follow offered advice. Emmett arrived in Washington on or about June 10, 1906, and apparently stayed there for several days. Even though Paul would have been glad to host Emmett, he was going to be busy: Paul was only 21 and private secretary to U.S. Congressman William B. Lamar. Not only that, Paul was attending Georgetown Law School while working for Lamar. If Paul was attending in law school in 1906, as had been reported in several different sources discovered, I was curious about his progress given the important job he had on Capitol Hill. He had to have been working his tail feathers off. How was he able to maintain a job like private secretary to a busy U.S. Congressman and go to law school? What was the class schedule like? The GU bulletins are wonderfully comprehensive: They include the lists of students enrolled, classifications, addresses, course schedules. But the search tool is not perfect — I would type in “Paul Carter” or “Carter,” only to have it miss a few Carters. This meant paging through several Georgetown University bulletins, starting with the 1904-05 catalog to be sure I covered everything. This latest detail adds so much more depth and context to Emmett’s final chapter. I’m just so thrilled with this last minute find! The research project about Emmett’s junior-year dorm-mates was not some big distracting side-adventure: I was going somewhere with it. Namely, Ormond Beach. Which of these guys had an automobile at that time? Answer: None of them. DeCottes and Carter came from families that might have provided an auto — maybe. In 1903, privately owned automobiles were around, but they were not common. For example, an article from The Weekly Tallahassean for November 8, 1900 mentions that much excitement was caused when the first automobile was seen on the streets of Tallahassee. Only three years later, in November, 1903, it was still such a novelty that The Weekly Tallahassean reported a “locomobile” sighting downtown. These were the days that cars were oddities, attention-getters. Funny. Nowadays, if I see a horse on K Street in downtown D.C. (the National Park Service still has mounted police that patrol downtown), I stop and gawk, whereas Emmett would think nothing of it. An auto in 1903 was more trouble than a horse: The roads were mostly dirt, rutted, better suited for horses. And, you had to ‘feed’ the auto. In 1903, if you owned one of the two or three cars in Tallahassee, and ran out of gas, you might have to wait for help from a neighbor on a horse. Also, autos were considered the playthings of the wealthy. In 1903, an $850 car costs about $22,970 in today’s dollars. That’s out of the price range for your typical family of four back then, when their average annual income was approximately $500. The first person to own a car in Emmett’s family was — of course — Cephas Love Wilson, bank president, judge, mayor of Marianna, and state senator. According to the Florida Secretary of State’s archive, Cephas bought one if the first cars in Jackson County, Florida, around 1909. Cephas’ first car was a Buick. Image Source: http://www.buick.com. Back to the Ormond Beach race. This was a big deal, because it was considered the first unofficial Automobile Club of America (later, AAA) race — the first NASCAR before it was ever NASCAR! So, what did Emmett and his friends witness? A land-speed record set by Alexander Winton, in his bright red “Bullet.” Winton set a record for a straightaway run down the beach: One mile in 52.5 seconds. Also, Oscar Hedstrom raced his Indian-brand motorcycle. The thing about this race is that it wasn’t promoted very widely (despite the big bucks of Henry Flagler, Winton, and W.J. Morgan backing it). About 3,000 attended the race over three days, but there weren’t many reporters there. Ransom Olds (father of the Oldsmobile, and owner of the ‘Pirate’) wasn’t happy with the low press turnout; when the race was repeated in 1904, he made certain that the national press knew about the races at Ormond Beach. But the boys of East Hall at Stetson University heard about the race. They had no idea that this was to be a historic event; they likely were thrilled with the idea of speed, riskiness, the adventure, all in a brand new invention that only a few years earlier was the stuff of dreams. Imagine what that must have been like, to be Emmett and his friends, to witness this thing? Did Emmett and his friends get these guys’ autographs? I hope so, but perhaps the crowds prohibited it — it was reported that about 3,000 were on hand for the races over the three-day weekend in March. Perhaps they brought their pocket Kodak cameras with them and took photos of the events. Emmett liked photography; perhaps he took snapshots and placed them in his scrapbooks. A snapshot of the races at Ormond Beach, from 1907. The 1903 race might have looked like this, too. Source: The Motor Way magazine, from Google Books. Emmett’s adventures in Ormond Beach on this historic weekend are featured in the second chapter of the book — which is coming along nicely.